Google has got another product that is going to revolutionize your television experience. Introducing Google TV. It's TV, apps, search and the entire web together at last! Currently, there are limited websites that you can access on your television like YouTube, Picasa Webs album, among others. But with Google TV, just about anything is right at your fingertips. Option 1: Get a standalone TV. The Sony Internet TV valued from USD599.99 to be exact. It boasts as the world's first and only HDTV powered by Google TV that gives you easy access to more entertainment than ever. the Sony Internet TV Blu-Ray Disc Player valued at USD399.99. Want to learn more about Google TV? Find out more here. I just recently got a new HDTV and blue ray player, so for me personally getting new ones didn't make too much sense (despite trying to convince my wife otherwise). Trying out the Logitech Revue at work for DISH Network I really enjoyed the experience. 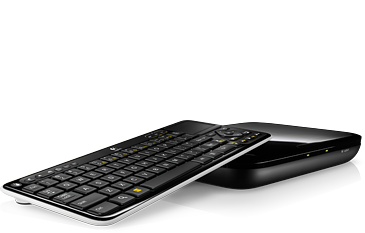 The full sized keyboard was great, very responsive track pad. I have it integrated to my DISH equipment it has a seamless connection between the two. It was also the cheapest option which is what my wife liked the most, only 179$ for DISH Network customers.